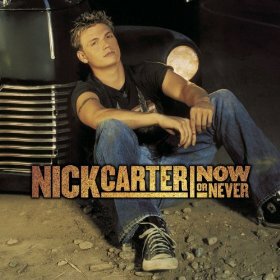 Home Nick Carter is a singer in the Backstreet Boys - as if you didn't know!! Arnthor Birgisson 16 December 2006: Simon from Italy emailed and gave me a link of Max Martin and Rami in the studio with Nick Carter when recording the song I Got You. This is also on Nick's bonus DVD from Now or Never cd. 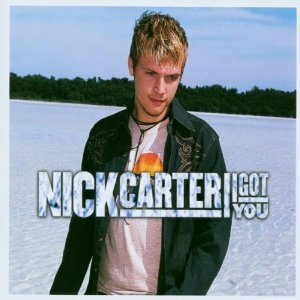 But if you don't have that, here's the link: http://www.youtube.com - Nick Carter I Got You Thanks Simon! I love this! 9 Apocalyptica 1. Help Me M.Gerrard/M.Vice-Maslin. Produced by Matthew Gerrard. 10 Army of Lovers 2. My Confession N.Carter/G.Clark/M.Brammer. Produced by Gary Clark and Martin Brammer. 12 Ashley Parker Angel 3. I Stand For You N.Carter/B.Kierulf/J.Schwartz. Produced by Brian Kierulf and Josh Schwartz for KNS Productions. 14 Backstreet Boys 4. Do I Have To Cry For You N.Carter/B.Kierulf/J.Schwartz. Produced by Brian Kierulf and Josh Schwartz for KNS Productions. 16 Bo Bice 5. Girls In The USA featuring Mr.Vegas N.Carter/B.Kierulf/J.Schwartz. Produced by Steve Mac for Rokstone Productions. 18 Britney Spears 6. I Got You Max Martin/Rami. Produced by Max Martin and Rami at Maratone Studios. 20 Bullet For My Valentine 7. Is It Saturday Yet? N.Carter/S.Lunt/G.Clark/M.Brammer. Produced by Gary Clark and Martin Brammer. 22 Carolina Liar 8. Blow Your Mind Max Martin/Per Aldeheim. Produced by Max Martin, Rami & Per Aldeheim for Maratone Productions. 24 Celine Dion 9. Miss America S.Lee/M.Taylor/Aleena. Produced by Mark Taylor for Brian Rawling Productions. 26 Cher Lloyd 10. I Just Wanna Take You Home Max Martin/Rami/Per Aldeheim. Produced by Max Martin, Rami & Per Aldeheim for Maratone Productions. 28 Cyndi Lauper 11. Heart Without A Home (I'll Be Yours) S.Mac/W.Hector. Produced by Steve Mac for Rokstone Productions. 30 Daughtry 12. Who Needs The World L.Christy/S.Spock/G.Edwards/C.Midnight. Produced by The Matrix. 32 Def Leppard 13. Scandalicious N.Carter/J.Bengtsson/D.Gibson/D.Carr. Produced by Douglas Carr for LaCarr. 34 Draxx 14. Forever Rebel N.Carter/P.Thornalley/D.Munday. Produced by Phil Thornalley. Of course the stand-out songs are the Max Martin co-written songs. I Got You is especially beautiful and Blow Your Mind I just love. I also really like the first single Help Me and the song My Confessions. 38 Fireal Per Aldeheim was in It's Alive with Max Martin. Peter Kahm who plays bass on Blow Your Mind and I Just Wanna Take You Home was the bass player for It's Alive. So there you go! 40 Gary Barlow I listen to this album from time to time and still really like it, one or two of the soppier songs I skip, but overall it is still very enjoyable. Sure, this album is never going to win a 'Cool Contest' but it's a good pop/rock album. Nick more than holds his own as a lead singer. I can't understand why all the millions of Backstreet Boys fans didn't buy this cd? 43 Herbie Make sure you purchase the copy with the DVD, it has some good interviews with Nick plus Nick at Maratone Studios with Max and Rami! 55 Lambretta 2. Is It Saturday Yet? 63 Maroon 5 I believe I Got You was only released in Europe (mabye only Germany?) as the second single. I saw the video played a couple of times on MTV in Australia, but the single was never released unfortunately. However, I do hear this song being played on the more Adult Contemporary radio stations in Sydney.